Retirement is a stage for which people do not want to think in their early working life. For most, it is a gradual and a transitional process which takes place over a period of time. For others, retirement is scheduled at 50 or 55 years of age, post which a different plan of action has been chalked out very carefully. 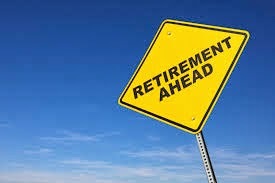 However Retirement needs to be planned for well in advance so that the corpus is ready by the time you plan to retire. Thus, by starting early, you can surely build a considerable amount for your retirement corpus without having to pay through your neck. There are many advantages which can prove beneficial to you in planning in advance for retirement. The interest that you earn on the invested income also increases by compounding interest and that in turn increases the investment corpus by a phenomenal amount. Thus starting early will help you increase your Retirement Corpus by a considerable amount! There are hardly any companies that provide for Pension Plans today and even if they do, how many actually stick on to the same job for long to be eligible for the same? With so much of job hopping, the benefits of super annuity and gratuity are not common. Both these require certain number of working years spent in the service of a particular employer. As of 2010, the Life expectancy at birth is 65.13 vis-à-vis 61.61 in 2000 and 58.35 in 1990 according to the data from the World Bank. Thus, with the advancement in technology, medicines and standard of living, Life Expectancy also increases every year. This definitely results in more number of post- retirement years which requires a larger corpus for post retirement income for maintenance of lifestyle. With Inflation as high as 9-10% and the constant inclusion of earlier “luxury” items of yester years like mobile phones into today’s “necessities”, you need to take into account inflation while calculating your retirement corpus as well as your returns. Thus, an early start to a strategic Retirement Planning may help you fulfill many post retirement dreams which you may not have had the time and resources to achieve during your lifetime. By planning for your retirement, you could opt for investing in Mutual Funds, Fixed Deposits, Insurance Plans, Public Provident Funds, etc. or in a small and systematic way, you could start with SIPs of Mutual Funds, Recurring Deposits, etc. but that needs to be continued till the end of the planning period. Planning well and executing that plan surely can do wonders for your retired life and provide a sense of security as well as help you to fulfill your dreams.